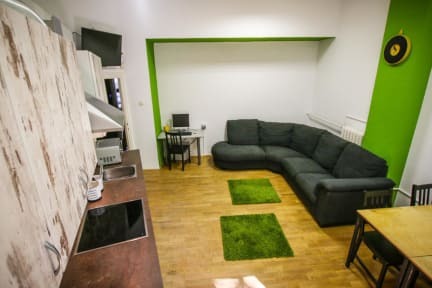 Cooltour Hostel i Budapest, Ungarn: Bestill nå! 6000 HUF or 20 EUR/person deposit is applicable for group bookings. In case of 1 night booking there is no option for late check in! Check in from 11:00 untill 14:00 pm. We take 6000 HUF or 20 EUR per person as a deposit from guests arriving in group of more than 5 guests. The reception is open until 14 PM and reopens at 09 AM. Allowances can be made if notification is given. There is no late check in option for the guests who book only 1 night. Reservations made after 14 PM on arrival date acceptable only confirmation in advance - please contact Hostel reception.